Moves are underway to establish a new governance structure for The Bridge Complex including The Bridge Kids creche. Plans are being made to set up a new governance structure to help secure the future of Sixmilebridge and District Community Complex, following a public meeting in the village earlier this week. 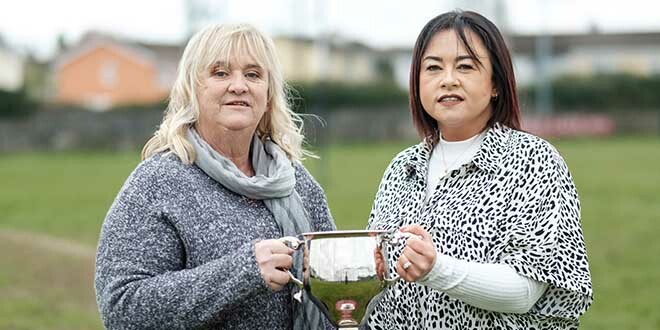 A recent Clare Champion investigation revealed that the Registry of Friendly Societies (RFS) cancelled the centre’s registration on April 17, 2015 over its failure to submit annual audited accounts to the registrar. It also found that November 21, 2007 was the last time that annual audited accounts were lodged with the RFS for the year ending December 31, 2006. It has been decided that local resident Pat Hayes will operate as an independent facilitator to seek legal and accountancy professional advice, and to put this information to a group of special members, shareholders and members of the Bridge Kids interim management. 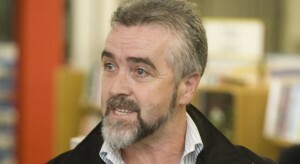 Mr Hayes, who is a parent of children attending the crèche, said he would be prepared to link-in with the present interim board of management to form a new committee, in consultation with all the relevant stakeholders, which would then seek legal and accountancy advice to establish what is the best way to secure the future of the entire complex. Councillor PJ Ryan proposed that shareholders and special members should sit down and discuss the best way forward, with the help of a solicitor and an accountant. James Kelly, who chaired the meeting, said a number of directors had resigned and couldn’t be involved in any future management committee. A number of speakers stressed that a new board of management for The Bridge Complex should be properly set up in compliance with statutory rules and regulations, in view of the fact that protocols were not previously followed. Mr Kelly said he is aware an interim board of management has been put in place but “didn’t know who they were”. Councillor PJ Ryan wants shareholders and members to discuss best way forward for The bridge Complex. Councillor Gerry Flynn stressed a new board of management “of some description” had to be in place to provide proper governance. As a shareholder, Councillor Flynn recalled he was approached to get involved initially by a local resident and invested some money to provide community facilities in the area. The Shannon independent councillor stated he got a letter from former treasurer, Vicky Ward, on November 2 advising him that he was no longer a shareholder, as all complex assets were being transferred to the Bridge Kids crèche. Councillor Flynn confirmed he had sought legal advice to see “what he was exposed to” as a shareholder, following the deregistration of the society. “We need to protect the facilities, the jobs and all the parents taking children to the crèche. The people that scuppered the ship, I want nothing to do with them. “There was 10 years of unaudited books, which none of us knew anything about. There is a problem and it is amazing how the place is still afloat. When I put money into this centre, I didn’t expect to end up in the mess we are now in,” he stated, adding that Shannon Municipal District chairman, Councillor John Crowe, had agreed to hold a special meeting to discuss measures to secure the complex’s future if necessary. Another resident stressed all legal and accountancy advice needs to be presented to the new interim board of management. Mr Kelly told the meeting there were originally eight special members – Johanna Shannon, Theresa Shannon, James Kelly, Maureen Tobin, Marelen Cadogan, Frances O’Shea, Richard Cahill and Barry Downes, but two of them, Ms Cadogan and Mr Cahill, had resigned. One woman expressed disappointment that professional advice was not sought by the board of management once The Clare Champion had published its revelations about the complex. It emerged that Bridge Kids management has decided to employ Cuddihy Accountants in Ennis to complete an audit of the complex’s accounts. Mr Kelly stressed that whatever new board of management is set up, it is imperative that the Bridge Complex would be retained to secure the future of the daycare centre, Bridge Kids crèche and the playground. He said parents could decide to go with Cuddihy Accountants, the original accounts Michael Nagle, Ennistymon or Donal O’Sullivan, Kilrush. Councillor Flynn said whatever accountancy firm is chosen by the new board of management, it had to be specialists in company law because it is very complex. Mr Kelly proposed that a new committee could be formed to obtain legal and accountancy advice to facilitate the reinstatement of The Bridge Complex as a society. Once this is done, he said it is possible to have a name change. A number of speakers stressed the importance of putting in place an interim board of management to oversee the running of the whole Bridge Complex, while a proposal from the Bridge Kids management was also read out to the meeting. It suggested that an interim board of management would be set up with volunteers which would oversee three new sub-committees, who would look after Bridge Kids, the daycare centre and the playground. The current directors would stay in place until the first annual general meeting, when they would resign and go forward for re-election. This was questioned by one woman, who felt it was contrary to the rules surrounding boards of managements for community and other organisations. This includes rules about terms of office, to avoid a “revolving door” scenario. 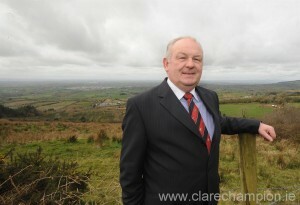 It was stressed that Pobal require a board of management in order to sanction funds for the crèche. In a statement to The Clare Champion, Pobal stated it is is aware that following The Bridge Complex ceasing trading, that a range of structural and administrative matters arising from the cessation are now being addressed and worked through. “Pobal is monitoring the situation closely in conjunction with our colleagues in the Clare County Childcare Committee (CCC). “All parties are committed to ensuring the continuity of the service. The CCC is now actively interacting with the service, providing practical support and guidance. Pobal is engaging with both the CCC and the childcare service on next steps which might need to be taken to ensure long-term sustainability of the service provided,” said a Pobal spokesman.